You know that smart inventory management is crucial to both maintaining your current level of sales and future growth. However, it’s easy to let the important things slip and fall into workarounds and habits that actually reduce efficiency and results. You know that entering the same info over and over again in Excel sheets or using sticky notes to track order details aren’t efficient business practices. While you may have an inventory management system or software, you might be feeling the side effects of having outgrown your old system. Download our free 7-page ebook and learn the warning signs of needing a software upgrade. 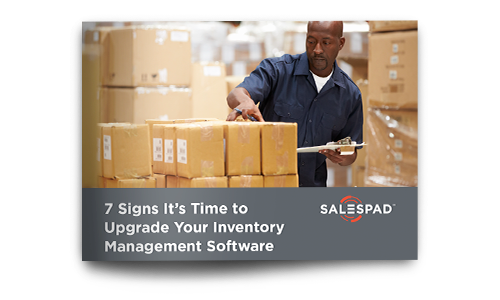 Be proactive and start looking for any of these 7 signs that it might be time to upgrade your inventory management software.